In todayâ��s era, Insurance sector has become one of the popular financial sectors. 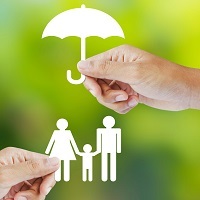 Insurance plays a vital role in securing the life as well as money of the individuals. It guards people against any kind of financial loss. In short, insurance provides human the financial as well as social security. If the person is insured, he can invest and save capital for rainy days of his life. Though it is a small term, it encompasses various types of insurances like general insurance, Life Insurance, Health Insurance and so on. Besides this, insurance sector also offers Retirement policy, Indemnity policy etc.